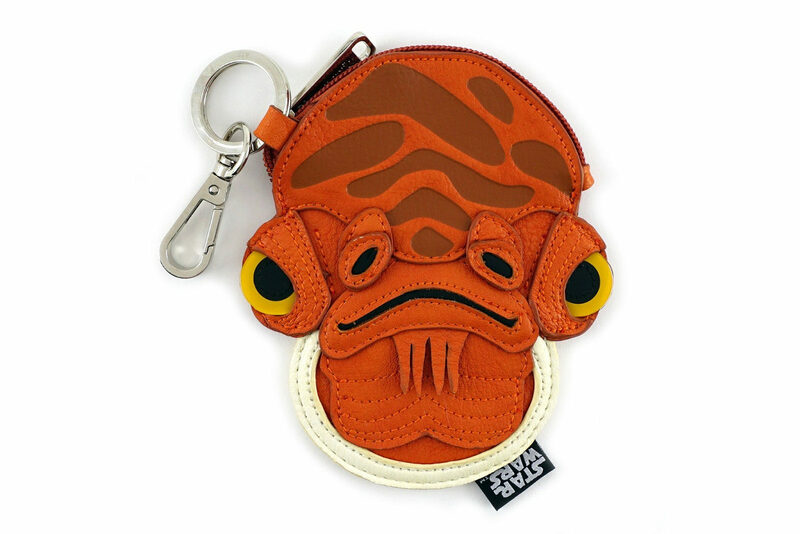 This Admiral Ackbar faux leather coin purse is now available from Loungefly. 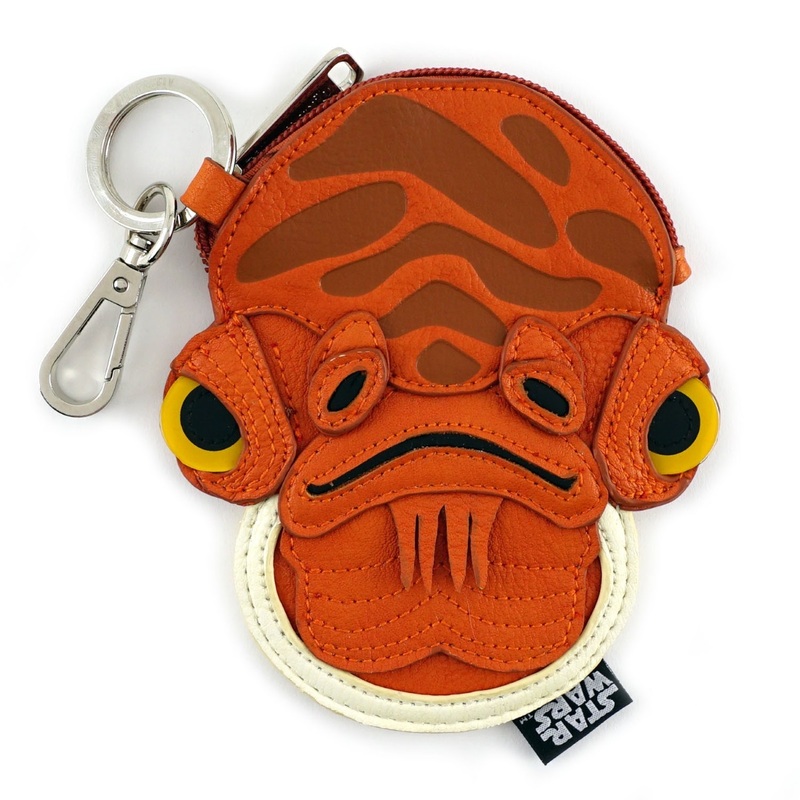 Made from orange faux leather, the coin purse features the face of the famous Mon Calamari, with embossed and applique details. 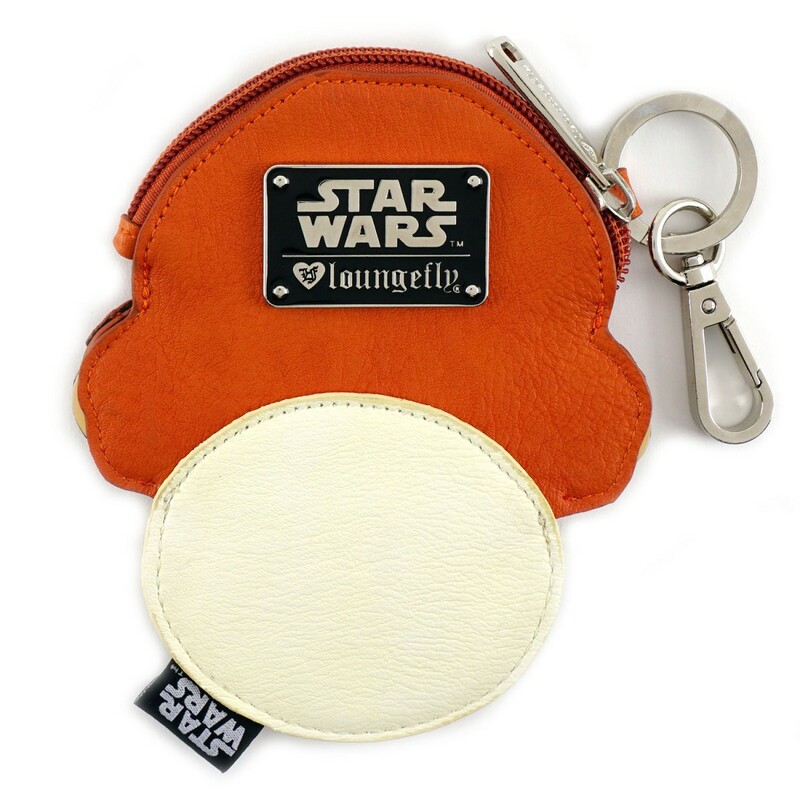 The back of the coin purse features a metal Loungefly x Star Wars logo plaque, and the top of purse also has a metal clip, so you can attach it to a zipper pull or key chain etc. 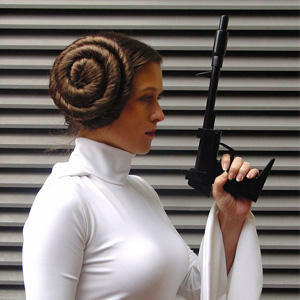 This coin purse is also available from ThinkGeek – but the version at ThinkGeek appears to have gold-toned hardware, whereas this version appears to have silver-toned hardware. I am not sure if this just a difference in lighting/photography, or if they are indeed different. The coin purse is priced at US$21.00 each – please note due to licensing restrictions, Loungefly can only ship within the US – but US customers can get free ground shipping on orders over US$75.00 (excludes Alaska and Hawaii). Photos sourced from and belong to Loungefly.